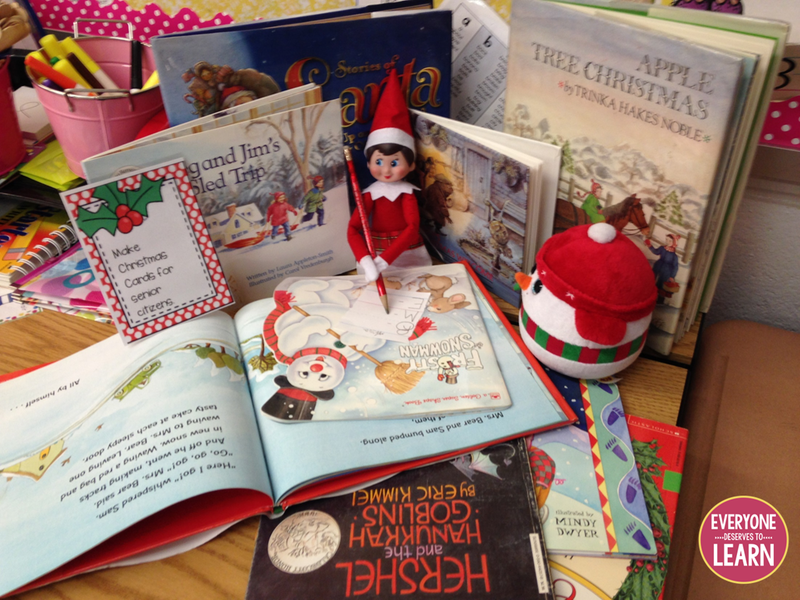 If you plan to use the Elf in your classroom this Christmas, I've got some great ideas for you! Rather than make it about behavior, I decided to use the Elf to inspire some Random Acts of Classroom Kindness with my students. Read on to see how it worked! 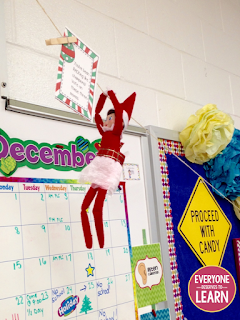 I started by working backwards and creating a calendar based on our last day before Christmas vacation. From there, I planned out each RACK that my students would complete, making sure we had enough time in our schedule each day to do so. Then I brought out our Elf! We took a vote and the students named her Melissa. The next day, Melissa brought us our first RACK and a special treat! Each day, I tried to pose Melissa in conversation-starting poses which would enhance classroom discussion. 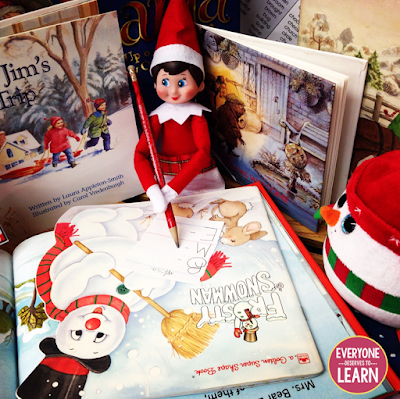 This day's discussion: can Elves read and write? 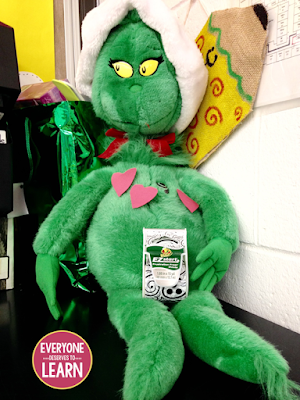 Melissa could be found all over our classroom. I don't have many high surfaces, so I had to get creative! 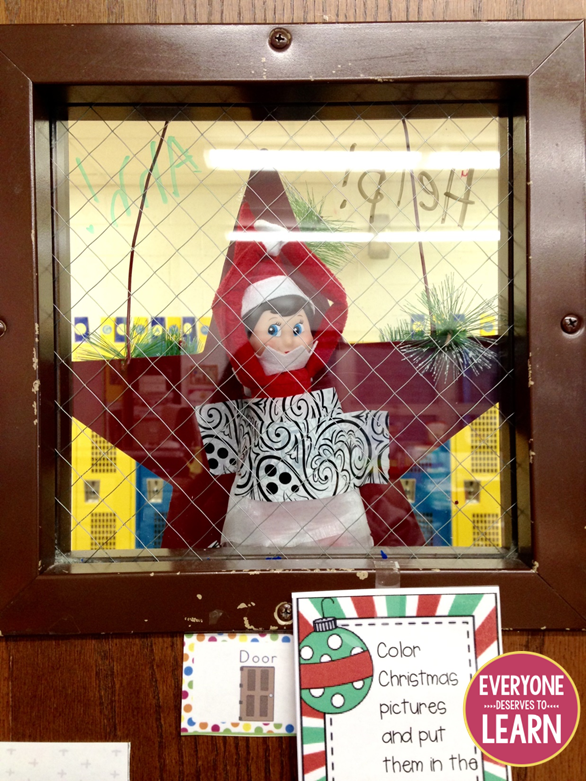 One day, the students walked in and were so disappointed...they couldn't find Melissa as hard as they tried! It took quite a few minutes, but eventually they spotted her. 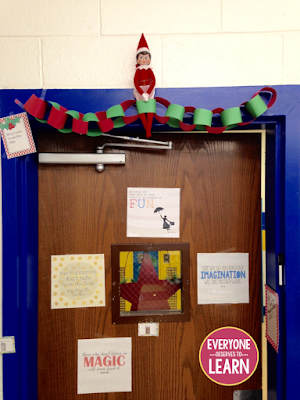 I had conveniently posed the Grinch right next to the door with the duct tape...so sneaky, Mr. Grinch! Melissa wrote us some funny notes on our Easel, too! 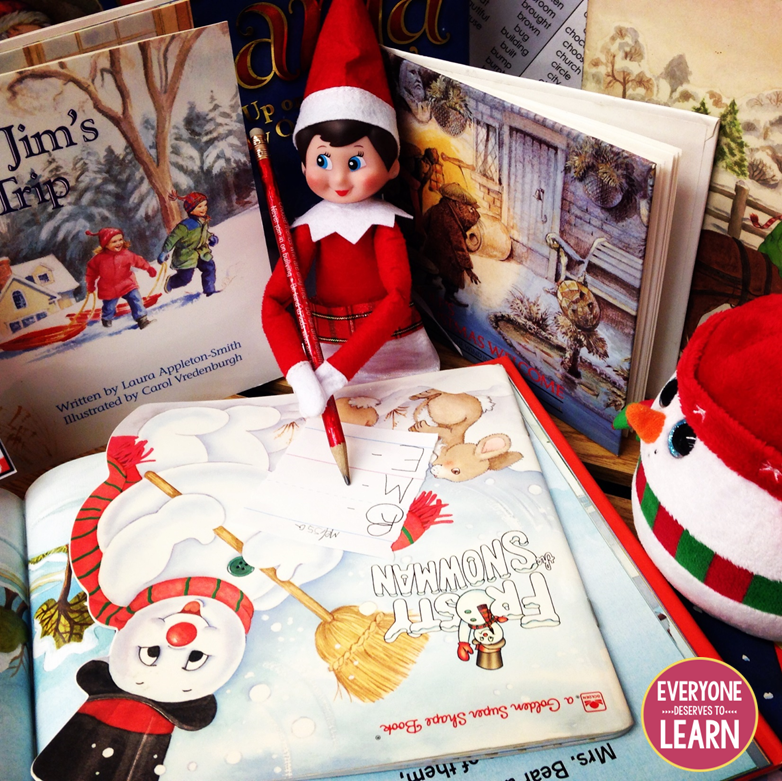 This confirmed that Elves could write, but poorly! 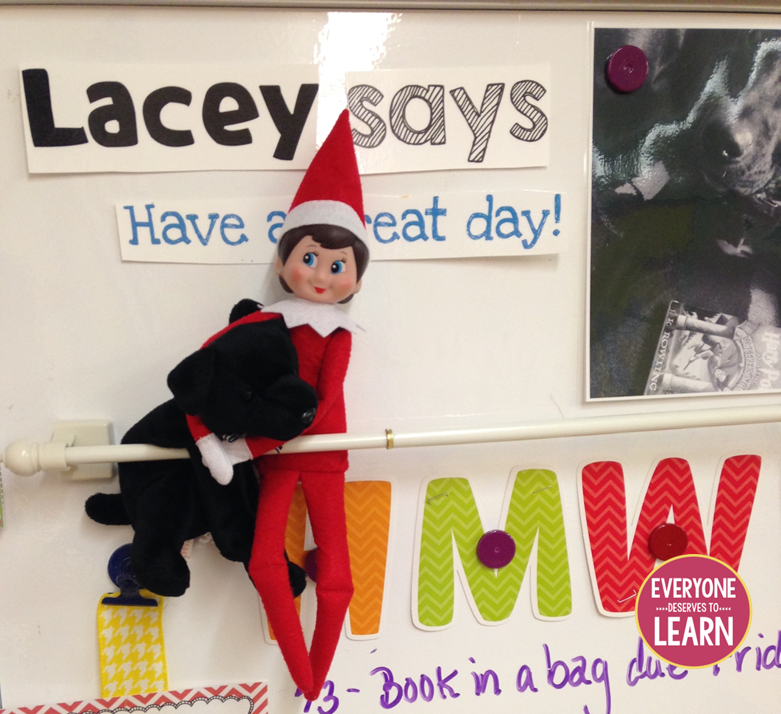 She even brought some treats for our class mascot! Melissa even zip-lined across our classroom. But she got in trouble for breaking a desk while she was climbing up there. *ahem* It was fun to get our custodians involved in that one! For her last day, Melissa brought us a final RACK by parachuting into the classroom. She got stuck on the American flag! 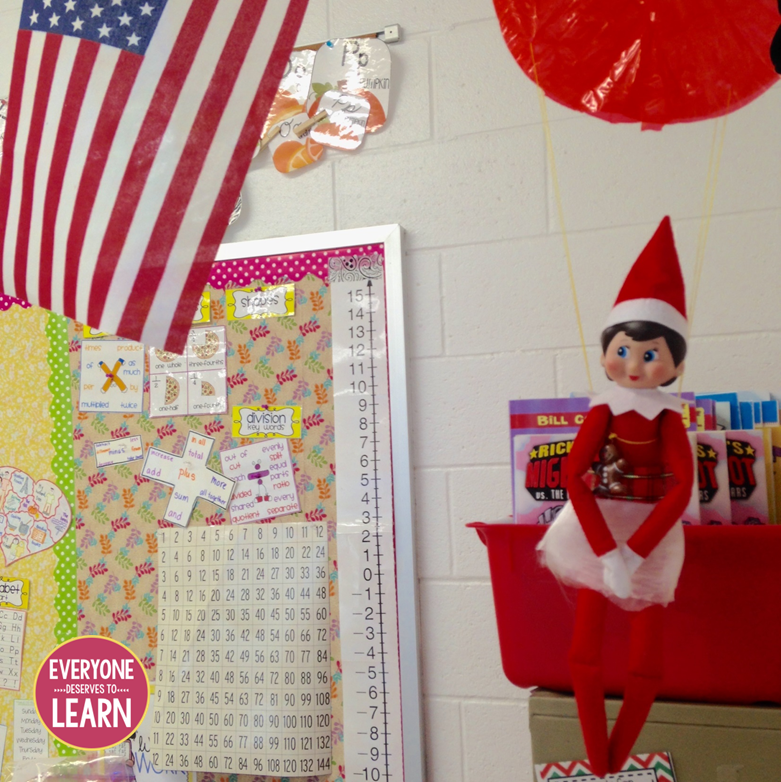 Throughout her visit, my students were able to complete RACK's for soldiers, senior citizens, and our school community. 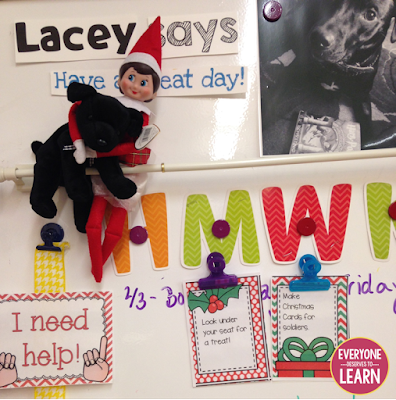 We wrote letters, sent thank-you cards, and sneakily dropped off packages of candy canes to other classrooms. We decorated the teacher's lounge and sang carols in the classroom. It only took 5 to 10 minutes out of our day, but it made us a much stronger community! Want to try the 12 Days of Elf-Mas in your own classroom? 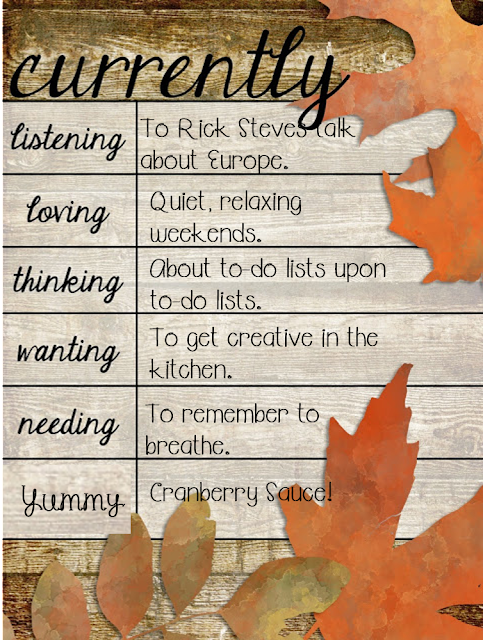 Feel free to use the ideas in the pack below- click here to download it! What does it mean to teach basic skills? 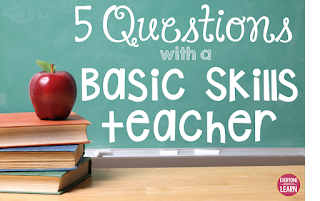 What does a basic skills teacher do all day? Find out today from Amy, a teacher in Southern New Jersey. Hi! 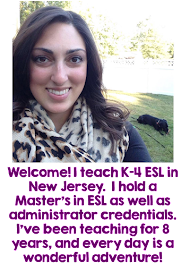 This is Amy from Eclectic Educating, and I am a Basic Skills teacher in southern New Jersey. I work with grades K-4. I previously was a Title 1 reading and math teacher in Ohio for grades K-5. Currently, I am in my sixth year of teaching and pursuing my Master's degree in Educational Leadership. Begin the day with any necessary testing: Running Records, DRA's, and I&RS paperwork. Pull out two groups of first graders for guided reading instruction and then rush off to Kindergarten for two more groups, push-in this time. 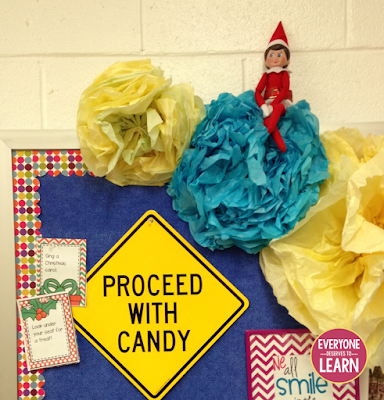 Make my way to the top floor of the school for pull-out third grade guided reading intervention. Squeeze in three groups before dashing to recess duty. Enjoy a 30 minute lunch with some of the funniest, most caring coworkers around in the faculty lounge. Then, head off to first grade for writer's workshop conferences, followed by 40 minutes of prep. End the day with a second dose of guided reading instruction to the same first graders from the morning. 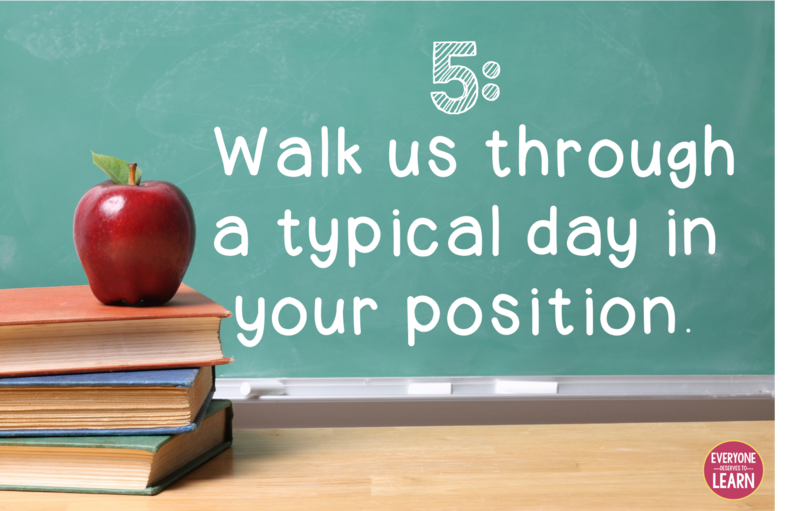 Depending on the day, attend PLC, staff, or parent meetings. and of course...working with kids! Not enough time for quality intervention in 20 minutes! Be flexible. 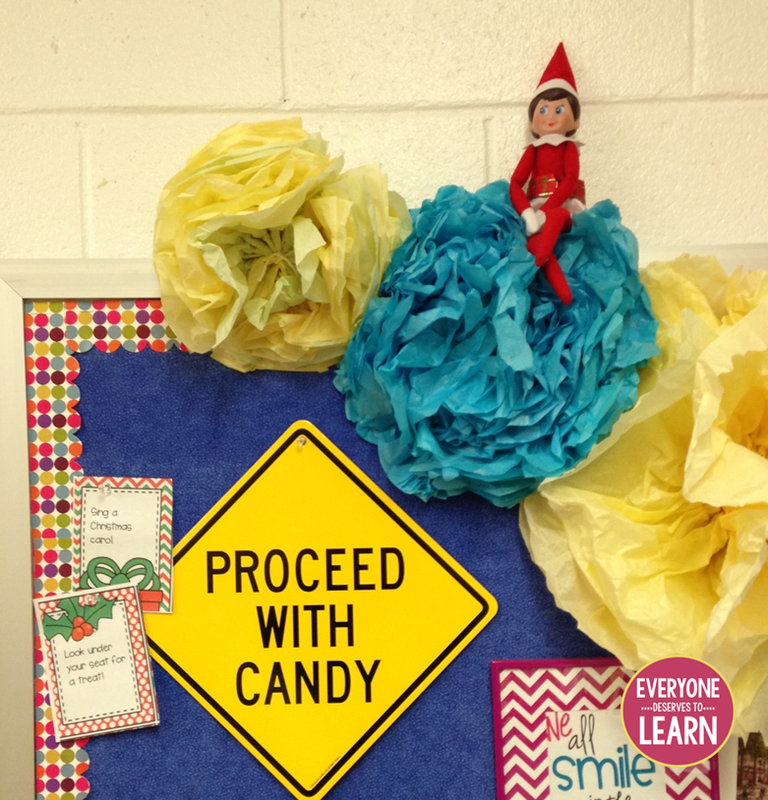 Working with so many adults and students can be very difficult. Things will not always go according to plan. Stand up for what you believe in and don't let others take advantage of you. Working with a variety of strong personalities can be challenging. Be confident in what you are doing. This is a tough one...is there wifi on the deserted island? Since, I'm guessing no...the tablet is out. So that leaves...post-its. You can do anything with post-its. Your own work, text-analysis, written response! A big thanks to Amy for letting us get inside her head and her job! Still have questions? Leave them in the comments! 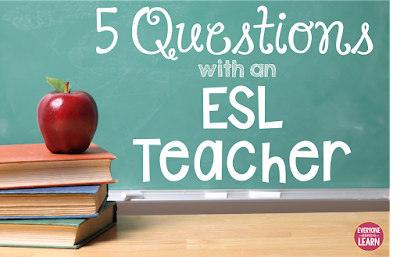 Ever wondered what an ESL teacher actually does? Or what resource she couldn't live without? Today I'm answering 5 Questions about my job! To start the series, I'm answering my own questions! 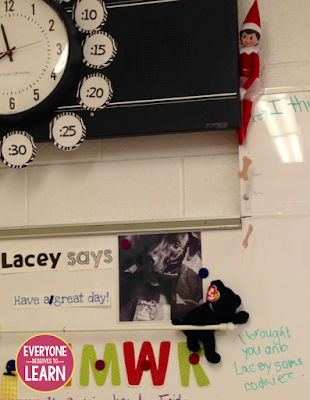 First, a little bit about me: I'm in my 6th year of teaching, and my 5th teaching ESL. I actually started my career teaching French, but quickly changed my specialty. 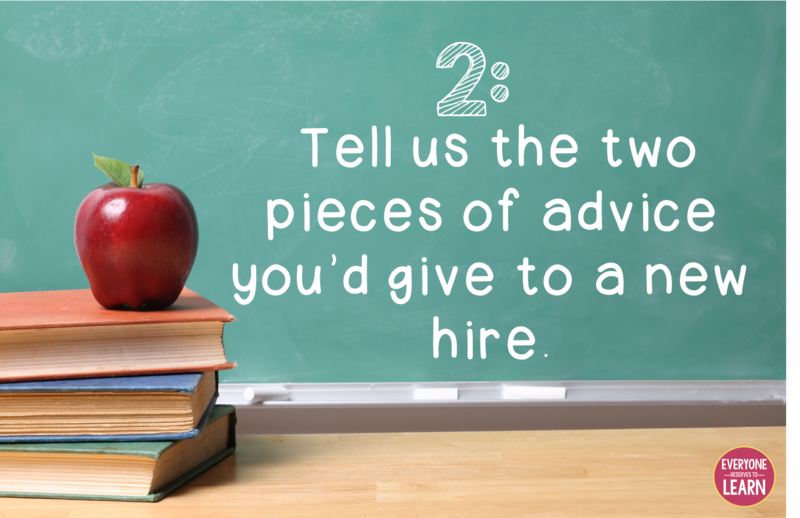 I have a Master's in teaching ESL, as well as a Master's in Administration. I'm planning to become a supervisor or principal in the next two years. I currently teach in Southern New Jersey, at a very small school with a pretty unique population of English Language Learners. I blog here, and also have a TPT store. 1. I start my day by checking emails and corresponding with administrators and classroom teachers about student issues, policies, and best practices. 2. I teach 4 pull-out classes, ranging from grades 1-5 and all levels of proficiency. With some classes we follow-up or preview the skills from the basal series, and with others I focus on the specific skills my students need to work on. 3. I have a working lunch, during which I eat with one hand and type lesson plans/search Pinterest/answer emails with the other. 4. I teach 2 more classes, this time to students who have newly arrived to the US and really need some extra help. 5. I answer more emails about student issues, grading policies, standardized testing, or upcoming events, then I go home to get ready for the next day. 1. I love being able to work with diverse groups of students- all ages, all levels. 2. I love reading and researching about ESL in other parts of the country. 3. I love being there for the light-bulb moments, and the many "firsts." 4. I love that I loop, and have students for 3 or 4 years in a row- it's great for relationship building! 1. Communicating with parents, due to the unique languages spoken in my district. 2. Teaching students who exhibit symptoms of PTSD, especially those who have come from war zones. 3. Knowing that sometimes the only time my students feel comfortable or have the chance to speak English is in my classroom. 1. Don't listen to the people who "preach but don't teach." There are a lot of people who claim to be experts in second language acquisition, and they may be smart, but they don't teach your kids. YOU teach your kids, so YOU know what resources or strategies work best for them. 2. Don't get caught up in the latest teaching trends or fads from other states, or even other schools nearby. 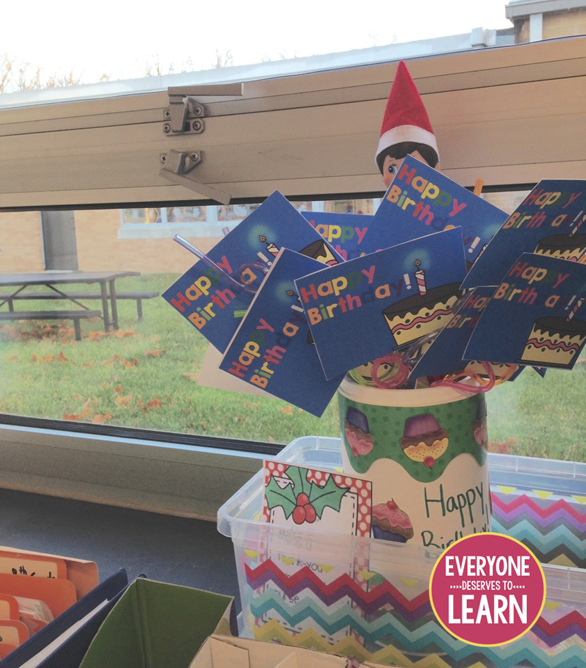 Your population is unique, so make sure you are planning lessons that work specifically for them. 1. I'm kicking myself for this question. But seriously, if I had to teach on a deserted island, I would bring whiteboards and dry erase markers. 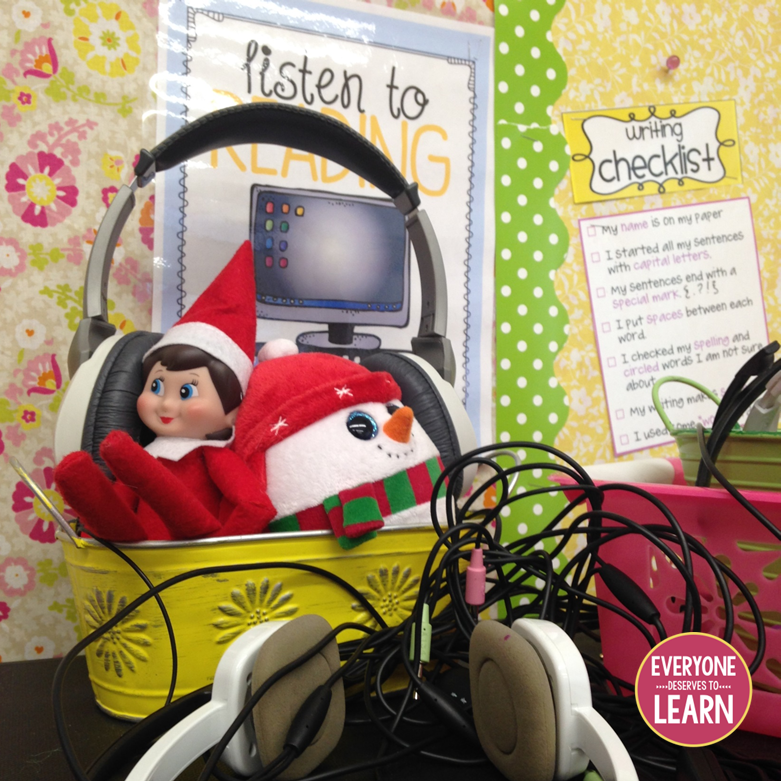 I use them all day every day in my classroom and could not live without them. From math problems to vocabulary words to life cycles, you can teach anything with just a whiteboard and markers! I hope that gives you a peek into my life as an ESL teacher! Still have questions? Leave them in the comments! I have a great line-up of teachers, administrators, and specialists coming up, so stay tuned! November is a big month in my house! We'll be celebrating our 4th anniversary, Thanksgiving, and welcoming a new baby! I'm linking up with Farley to share more about the month coming up. 1. I love PBS. Rick Steves, Antiques Roadshow, This Old House...those shows speak my language. And sometimes help me fall asleep. What am I, 78? No, just an old soul, I guess. 2. I keep telling my husband, "This may be our last kid-free weekend/date night/pizza/movie, ever." So I'm going to enjoy it while it lasts! I've been told children are fun to have around...but after reading blogs and books galore, I'm not sure what we're in for! 3. See above. If I keep myself ultra-busy, maybe I won't have time to think! 4. I'm on maternity leave now, so I've decided to really up my game in the kitchen as long as I can. Menu planning used to mean looking at the circular as I pushed the cart through the grocery store, but I am finding it's fun to plan ahead. 5. See 2, and 3. What's up with you this November? Link up with Farley!